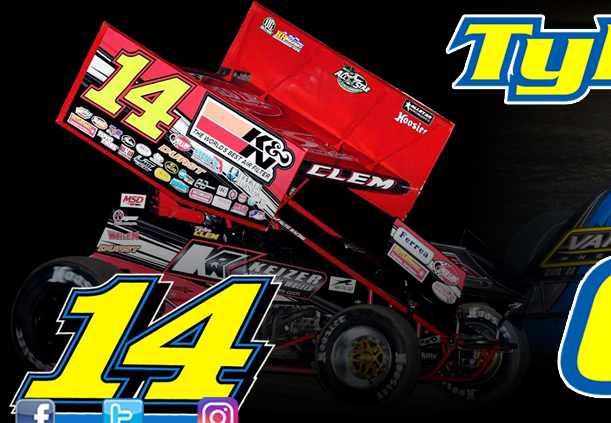 On Friday night Tyler Clem was one of 21 USCS Outlaw Thunder Sprint Car entries signed in at Bubba Raceway Park (Ocala, Florida) for the two-day event. Jumping up three spots in his heat, Clem scored a 4th place finish positioning him 7th on the starting grid for the opening night feature. Breaking into the Top-5, Tyler improved four spots in the 25-lapper to place 3rd behind Mark Smith and Johnny Bridges with Dale Howard and Terry Gray completing the Top-5 finishes. The following night, Tyler secured his spot into the Hoosier Tire Speed Dash with a 2nd place finish in his heat behind Danny Martin Jr. Coming in 2nd behind Terry Gray, Clem earned the 7th-starting position for the 30-lap finale. Improving three spots, Tyler Clem reeled in a 4th place finish behind Mark Smith, Mark Ruel Jr., and Johnny Gilbertson with Matt Kurtz coming in 5th. For full results from these events, please visit www.USCSRacing.com. For full results from this event, please visit www.BubbaRacewayPark.com. Friday night saw Tyler Clem hop behind the wheel of the Big Frog Motorsports #58 Crate Late Model for the Bubba Army Winternationals at Bubba Raceway Park (Ocala, Florida). 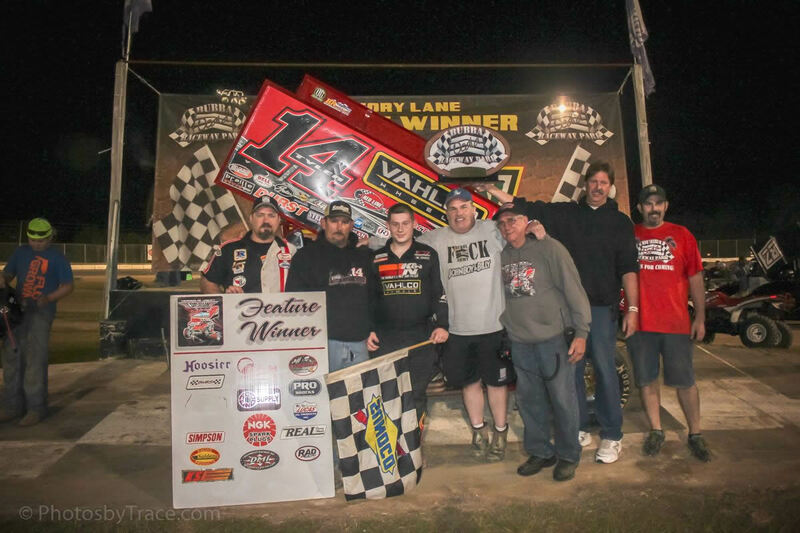 In a field of 26 Durrence Layne Winter Shootout Series entries, Tyler recorded the ninth fastest time in qualifying before streaking to a 10-lap consolation victory. Earning the 9th-starting position for the opening night feature, Clem improved five spots to place 4th behind Kyle Bronson, Walker Arthur, and Logan Roberson with Nick Hoffman coming in 5th. 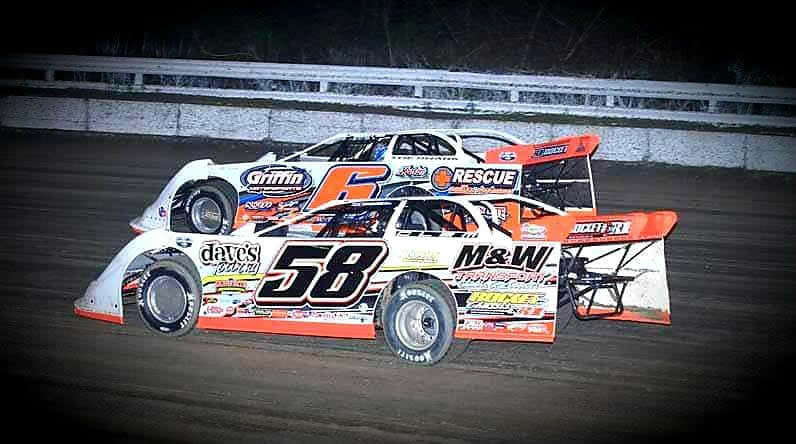 On Monday night Tyler Clem returned to action in #C02 Super Late Model for the 48th annual DIRTcar Nationals at Volusia Speedway Park (Barberville, Florida). With 42 cars on hand, Tyler ran into issues with his clutch that prevented him from making it out for his qualifying session and heat race. 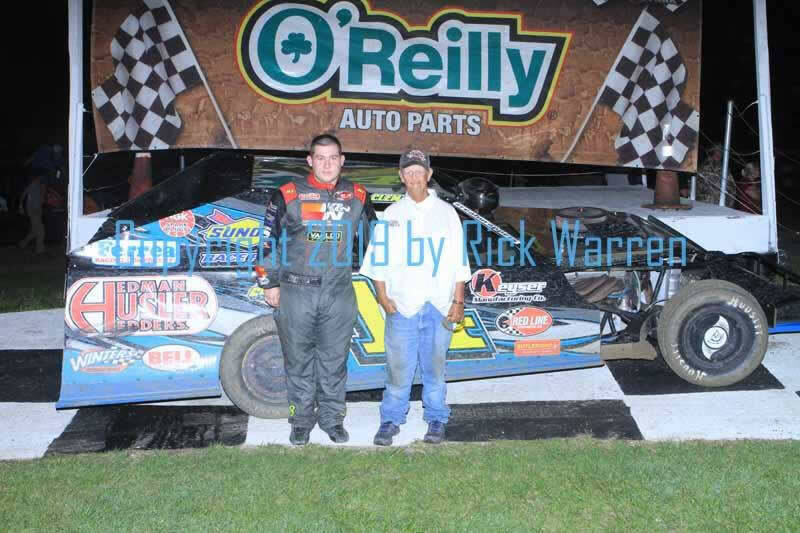 He was a scratch from his B-Main. 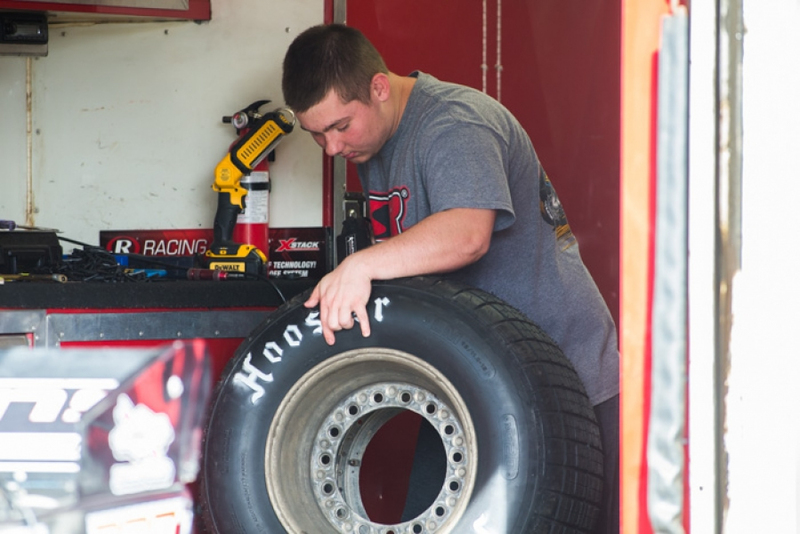 After Mother Nature wiped out Tuesday’s event, Tyler was one of 44 World of Outlaws Morton Buildings Late Model Series entries signed in on Wednesday evening. Following the 19th fastest time in his qualifying group, Clem dropped two spots in his heat race to place 10th. Needing a 3rd place finish or better to make the $10,000-to-win A-Main, Tyler fell short with a 11th place outing. The following night, Tyler posted a 7th in his heat transferring him into the B-Main for another shot at the A-Main. Sending the Top 3, Clem recorded a 6th place finish. Wrapping up the 48th annual DIRTcar Nationals on Saturday, Tyler came in 6th in his heat giving him one last shot at the $10,000-to-win finale with a B-Main appearance. Needing to place in the Top 3, Clem fell two spots short with a 5th place finish. Tyler Clem looked to kick off the 2019 season on Thursday night at Bubba Raceway Park (Ocala, Florida) but mechanical issues on Wednesday night for practice prevented him from even competing. In a field of 33 All Star Circuit of Champions entries, Clem suffered a blown motor in practice on Wednesday that brought a disappointing end to his weekend. For full results from this event, please visit www.AllStarSprint.com. 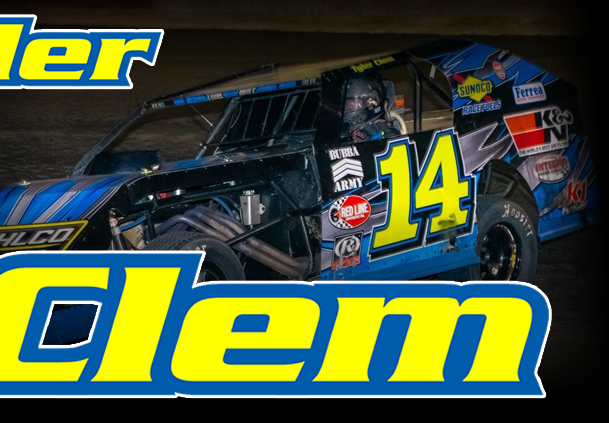 Traveling to a total of 30 events during the 2018 season, Tyler Clem captured six wins aboard his Bubba Army #14 K&N Filters entry. With the weather determining the outcome of 12 of his scheduled dates, Clem recorded 15 Top-10 outings and 12 Top-5 finishes. Saturday night found Tyler Clem in action at Bubba Raceway Park (Ocala, Florida) competing in a field of 52 Open Wheel Modifieds for the 5th annual Emil & Dale Reutimann Memorial. 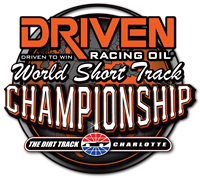 Running into mechanical issues in his heat that prevented him from finishing, Tyler went on to place 2nd in his B-Main behind Jason Graver locking him into the 14th-starting position for the main event. 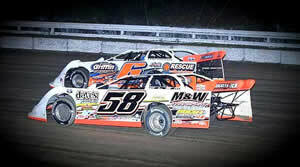 With $10,000 on the line, Tyler Clem gained ten spots in the 50-lapper reeling in a 14th place outing. Tyler Clem was one of 31 United Sprint Car Series entries signed in at Bubba Raceway Park (Ocala, Florida) on Friday night for the two-day event. Holding his spot in his 8-lap heat, Clem recorded a 3rd place finish transferring him into the Dash. Coming in 2nd behind Jordon Mallett, Tyler locked his spot into the opening night feature. Breaking into the Top-5, Tyler Clem improved eight spots in the 25-lap affair to place 5th behind Tony Stewart, Mark Smith, Danny Martin Jr., and A.J. Maddox. The following night, Tyler secured his spot into the finale with a runner-up finish in his heat behind Mark Smith. Rolling off 9th, Clem gained five spots registering a 4th place finish behind Justin Barger, Jordan Mallett, and Mark Smith with Danny Martin Jr. coming in 5th. Behind the wheel of the Big Frog Motorsports #58 Crate Late Model entry, Tyler Clem was one of 57 cars signed in at Dirt Track at Charlotte (Concord, North Carolina) on Saturday for the Driven Racing Oil World Short Track Championship. Following the 16th fastest time in his qualifying group, Clem recorded a 6th place finish in his 8-lap heat race transferring him into the B-Main for another shot at the $5,000-to-win A-Main. Needing to place in the Top 2, Tyler ran into mechanical issues that prevented him from completing a lap. For full results from this event, please visit www.DIRTcar.com. On Saturday evening Tyler Clem traveled to Golden Isles Speedway (Brunswick, Georgia) powering the Big Frog Motorsports #58 Crate Late Model for the Chuck Scott Tribute. In a field of 15 cars, Clem registered the fastest time overall in qualifying locking him into the pole position for the feature. Dropping two spots in the 30-llap affair, Tyler scored a 3rd place finish behind Rhett Carter and Kyle Vansickle with Mark Whitener and John Baker completing the Top-5 finishers.